Electric vehicles are increasingly popular, but for society they aren’t as simple as “plug ‘n drive”. I wrote last year about some of the issues facing a growing electric vehicle fleet here. Vector explores some of these issues in detail as they relate to the energy network. They highlight that you can’t think of the energy system just as a pipe (or a cable), where all you need to do to meet greater demand is to put in a bigger pipe or cable (ie add more generation). For example, the Tiwai point aluminum smelter uses as much power as 700,000 houses. If the smelter shut down and all that power went to domestic and other commercial uses, then that by itself would be sufficient to service a large electric fleet. Vector point out that for each electric car, the electrical load for charging it is equivalent to the power demand of between 1 and 20 houses, depending on how fast the charging rate is. Currently, most vehicles tend to be charged at a slow trickle rate (2.4 kilowatt hours [kWh]), meaning they need to charge all day or overnight to become fully charged. New electric vehicles are being developed with more powerful batteries, and thus requiring higher charging rates to be useable. With some confidence we can predict that not only is there going to be more electric vehicles in the future, but the expectation of their drivers will be that they can charge them quickly. That means not only greater electricity demand, but a need to improve network infrastructure. Particularly transformers that convert the high voltage national grid electricity to the lower voltage supply that goes into homes and businesses. That will require hundreds of millions of dollars, and will probably be passed on in power bills. Vector note that if everyone pays, then those with electric vehicles would be subsidized by everyone else, which raises the issue of fairness. Usefully they look at how other places are handling the supply and charging demands arising from the growth of electric vehicles. There is a range of approaches being tried, including registering electric vehicle connections, tariffs to encourage off-peak charging, and other ways to manage when vehicles are charged. There are also trials overseas going on for electric vehicle owners to provide power back into the grid. It is very much an experimental field at this stage, and we are likely to see new ways to cope with integration. For example, in the future we may also see Airbnb-type initiatives to hook up electric vehicles with folks who have charging stations. What Vector didn’t discuss are electric trucks and buses. While less common than cars, more are getting on the road. And they have larger power demands (83 kWh, compared with 10-30 kWh for a Nissan Leaf), so that will further stress the grid. 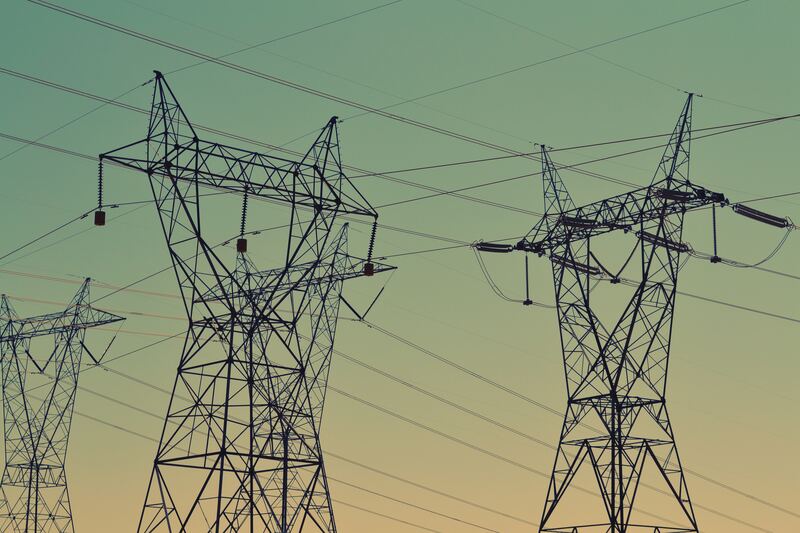 A UK report noted that the markets and frameworks (Pdf) used to govern electricity networks need to change. We also have the possibility of electric flying cars. In addition, electric vehicle battery technologies are still immature. As Flip the fleet have recently shown in NZ, some electric vehicle batteries aren’t very durable. This should improve, but it can deter some and add extra expenses for owners. As more electric vehicles are developed, classical supply and demand economics also drives in. 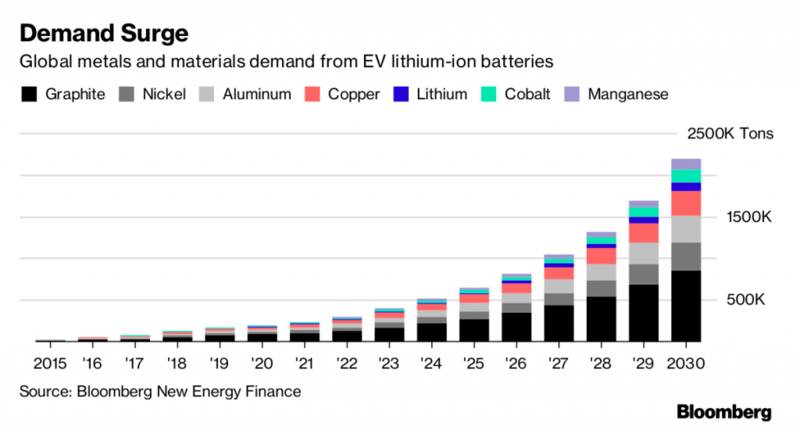 Demand for elements in the batteries is forecast to grow rapidly, as shown in the chart below (EV means electric vehicle). And the prices for metals critical for current batteries are rising quickly. Where some of these metals, such as cobalt, currently come from can also be socially, environmentally and politically problematical. What this highlights to me is that it is easy to enthusiastically extrapolate early rapid adoption of new technologies into exponential growth. But there are some other fundamentals in the system that need to change too. Integrating new technologies into society isn’t as simple as flicking a switch.